In this week’s featured contributors, the spotlight shines on 123RF photographer Victoria Shibut, who goes by the name vicushka. 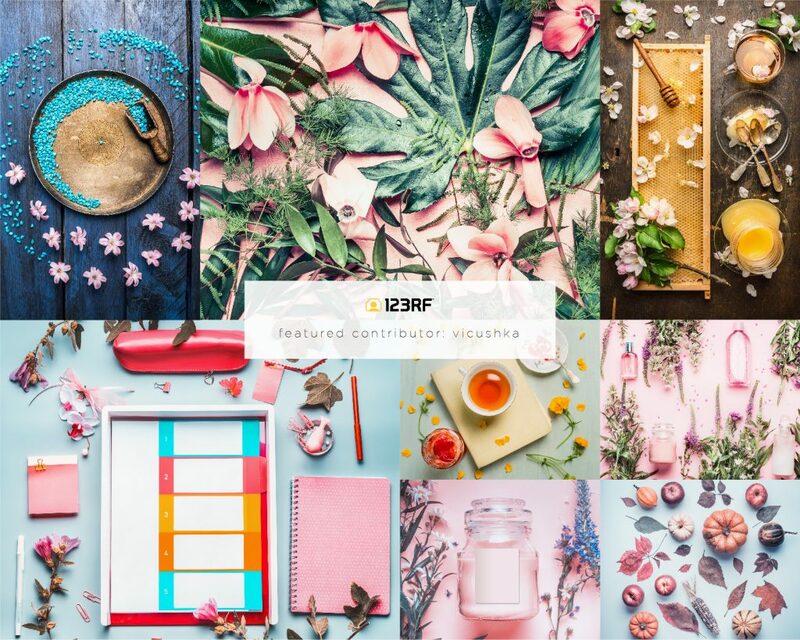 Her creative stock collection houses a delectable variety of food shots, ranging from flat lays of yummy arrangements to juicy fresh beverage layouts with pretty inventive angles. Themed floral settings laid in a particularly artistic manner are also a major part of her image portfolio. 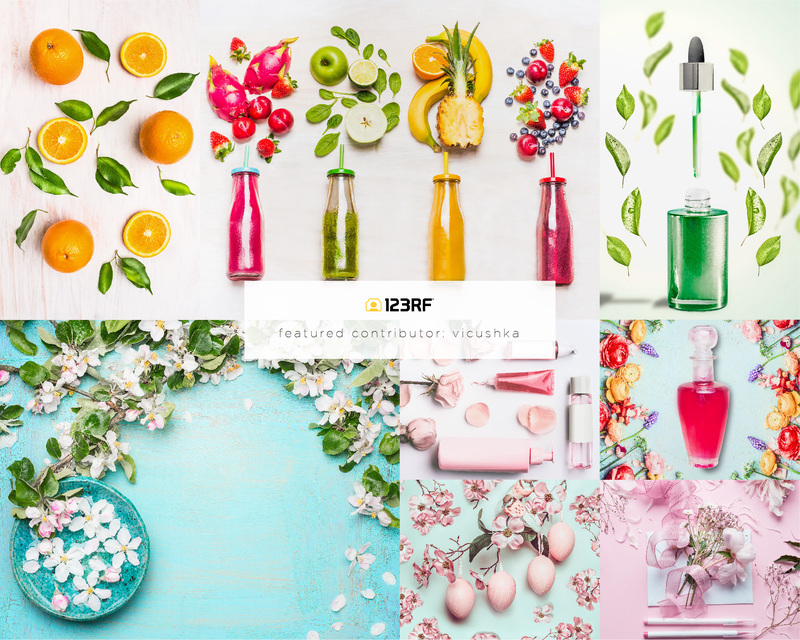 Aside from food and florals, Victoria’s photography collection also features useful mockup images for cosmetics or spa and beauty branding. If we were to describe her photos in one word, we’d definitely go with aesthetic. Check out some of her photos below, or get inspired by her works on her portfolio.